Is it fair that beneficiaries should pay, even if they do not voluntarily benefit? Is there such a thing as a fair tax, or are there only less and more fair taxes? Who is entitled to what? And how do manage externalities? 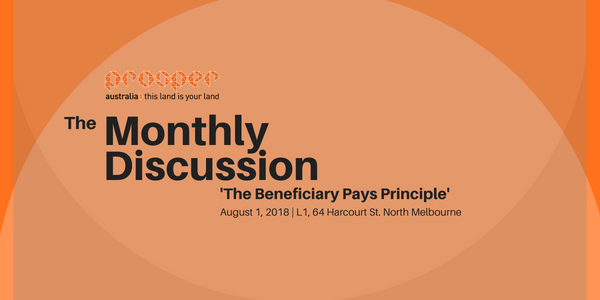 Next month we delve into a philosophical discussion around private entities should pay for public benefits they receive, both voluntarily (user pays) and involuntarily (beneficiary pays). Prosper’s monthly discussion is a free event with pizza and wine. All welcome.